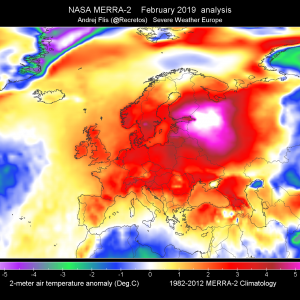 A broad upper trough finally cuts off into a large upper low over Mediterranean on Friday. 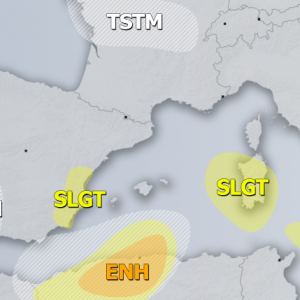 Another surface cyclogenesis takes place over NW Mediterranean and deepens while moving towards Italy. 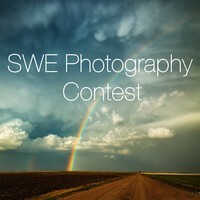 An intense cyclone rotating NW of Scandinavia. 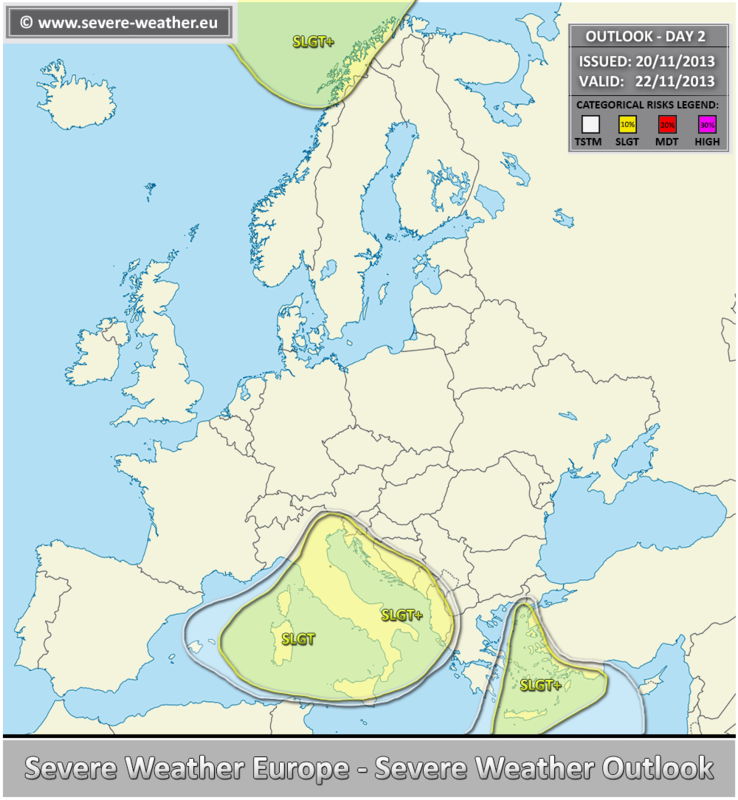 A SLGT+ risk has been issued for coastal N Scandinavia with threat for severe winds, locally in excess of 120 km/h. Area will be monitored for possible upgrade into MDT risk on DAY 1 outlook. 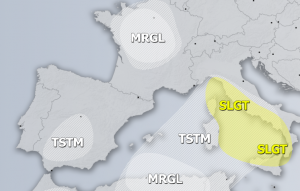 A SLGT+ risk has been issued for coastal areas of SE Adriatic sea and Tyrrhenian sea with threat for excessive rain, severe winds and some tornado / hail threat. Areas will be monitored for possible upgrade into MDT risks on DAY 1 outlook. 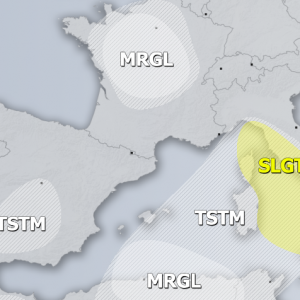 A SLGT+ risk has been issued for parts of Aegean sea into SW Turkey with threat for excessive rain, severe winds and some hail / tornado threat. Area will be monitored for possible upgrade into MDT risk on DAY 1 outlook. 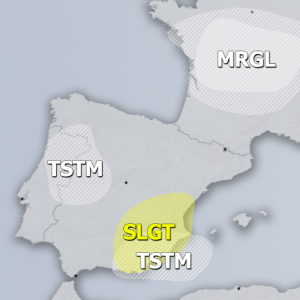 A SLGT risk has been issued for areas arounnd the SLGT+ risks will some threat for excessive rain, waterspouts, marginal hail and severe winds.